To celebrate 10 Years Of Critical Music, label boss and drum & bass visionary Kasra has sewn together the brand new 'Critical X' compilation to round off the label's most ground breaking year yet. Withstanding the stormy seas of the modern day music industry for this long is an astounding achievement, and due in no small part to one of the best A&R brains in the business. Here Kasra reminds fans the world over of a staggering back catalogue, full to the brim of the stars of today and tomorrow, and drops some brand new upfront vinyl material to lead us into 2013; the perfect collectors edition album for any electronic music aficionado. 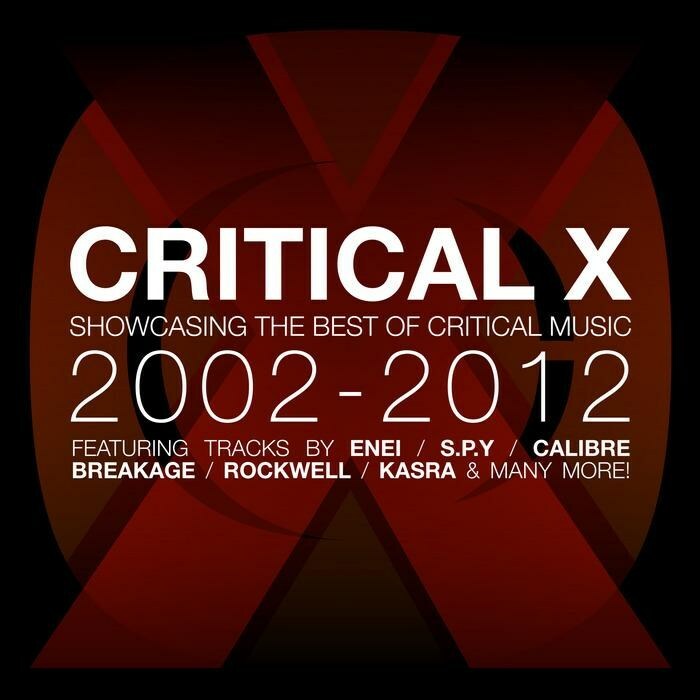 With a Fabric mix and the heavily lauded Enei album already under the belt this year, 'Critical X' is the icing on the cake and a reminder of why Critical has been voted one of the Labels Of The Year at the 2012 Drum & Bass Arena Awards, yet again. Digital Compilation also includes 5 New Exclusive tracks!